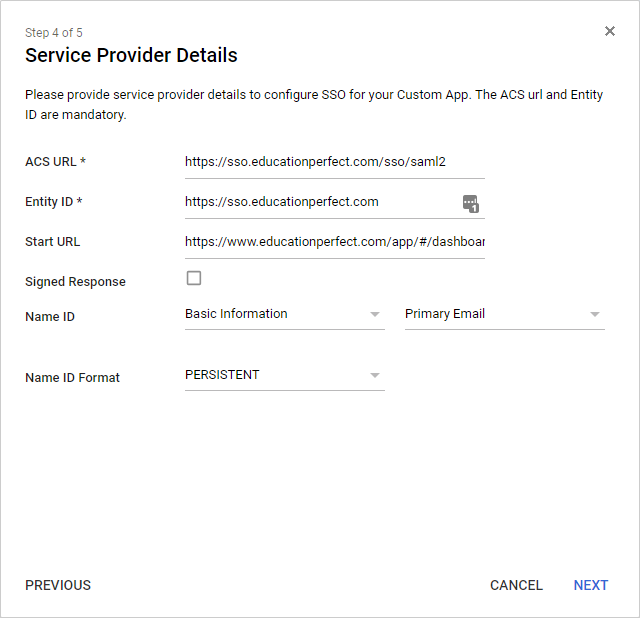 This article details how to configure G-suite for use with Education Perfect's Single Sign-On (SSO) system. Click the plus (+) icon in the bottom corner. On the Enable SSO For SAML Application screen, select Setup my own custom app. 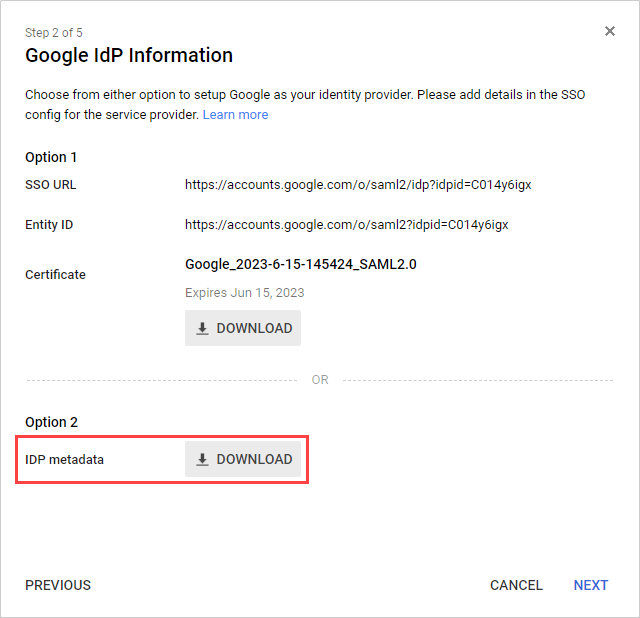 On the Google IdP Information screen, under Option 2, click the download button next to IDP metadata. This will download a metadata file which you will need to send to us to configure SSO for your school. On the Basic information for your Custom App page for Application Name enter "Education Perfect". If you would like to include an image you can download a copy of our logo from this link. Name ID: Basic Information, Primary Email. As noted, this may take up to 24 hours to take effect for all of your Google users. You should now see Education Perfect in the list of SAML apps, but it will not be enabled. Click on Edit Service and then turn it on for everyone (as below) or for specific organisational units as appropriate, and save. As noted, it may take up to 24 hours for this change to take effect for all users. 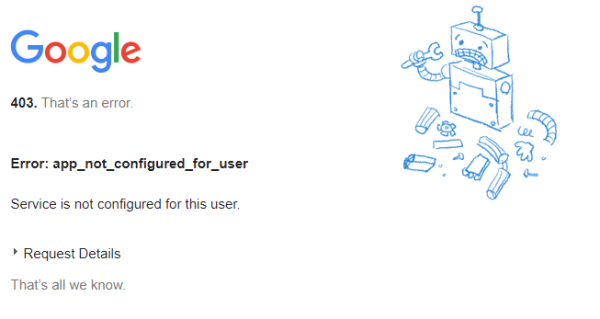 G-Suite credentials for a test student and test teacher account so that we can check the integration is working. Please ensure that these credentials match the conventions in place for your other users.